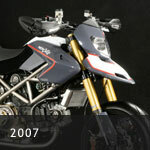 The 100ONE prototype enters pre-series... 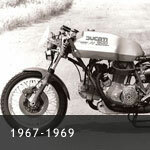 This is the most important year to date for the new NCR... NCR CORSE Racing division is born... NCR wins at Daytona!" 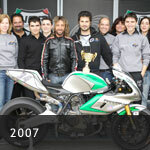 2007 NCR European Supertwins Champions! 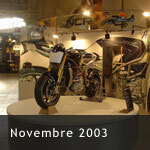 EICMA 2007: NCR presents LEGGERA, the first NCR street! 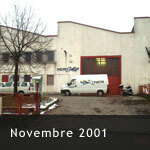 NCR CORSE, season 2007: VICTORIES and EMOTIONS! 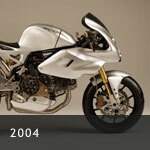 The NCR Corse division was established in 2006 with the goal to test and develop new NCR models and special parts on the track in order to further enhance Ducati performance. - Champions in DAYTONA! Valter Bartolini has won the Sound Of Thunder at Daytona while setting a track record in the Battle of Twins race with a 1:45.4! In the Battle of Twins race, Larry Pegram and Nick Ienatsch gathered third and fifth position on NCR New Blues. - Champions in ASSEN 2007! 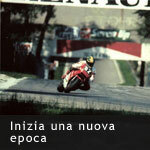 Valter Bartolini won the Battle of the Twins clss and achieved third position in the Sound of Thnder in the open class. - Champions in Ducati Speed Week! Valter Bartolini won three races during the big event at Pannoniaring and also fought a strong battle in the Open Superbike Class against the Yamaha R1 Superstock riden by F. Pellizzon. Valter won while setting a incredible time of 1:57.4! - Champions in the 85th Loudon Classic in the USA! 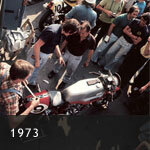 This longest running race event in America was the place where the Millona One Shot ridden by Eric Wood won the Supertwins class while smashing the air cooled track record by 1.8 seconds with a 1:12.85! 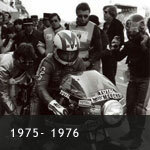 - Champions in Two Races in the R.A.C.E. Heavyweight Class in Canada! 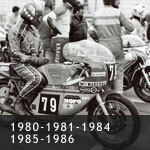 Here the NCR Millona had to compete against Superbikes and watercooled 4 valves and managed to break the track record in almost every one of the six rounds. - Champions of the Italian Supertwins Championship: NCR has won the Italian Supertwins Team championship thanks to Valter Bartolini (MILLONA FACTORY 07) and thanks to the NCR CORSE gentleman riders Fabrizio Tinti (MILLONA ONE SHOT), Enrico Martini (MILLONA ONE SHOT), Alessandro Sellone (MILLONA FACTORY 05) and Giancarlo Castelli (MILLONA S). 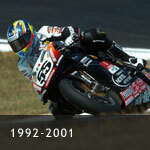 - Champions of the European Supertwins Championship! NCR Corse and Valter Bartolini have won the championship aboard the NCR Millona Factory in a very decisive way to demonstrate supremacy across Europe! 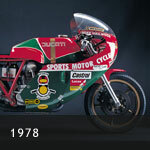 NCR, at the end of the season, put four MILLONA motorcycles in the top ten! A big thanks to the team, the riders, the fans and the supporting sponsors, in particular: POGGIPOLINI TITANIUM, BAP, NUOVAMACUT, ZARD, PANTA and BST. 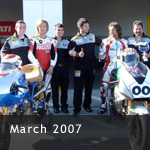 From 2004 to today, NCR has won in 28 out of 40 races entered with 35 podiums and only on retirement due to mechanical problems. 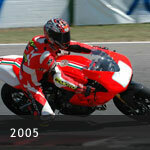 In 2005 NCR has won the Italian Supertwins Championship as well as the Ducati Desmo Challenge. 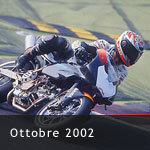 In 2007, NCR has won the European Supertwins Championship.